I love the expressions on the girls faces during our first camping trip this year. 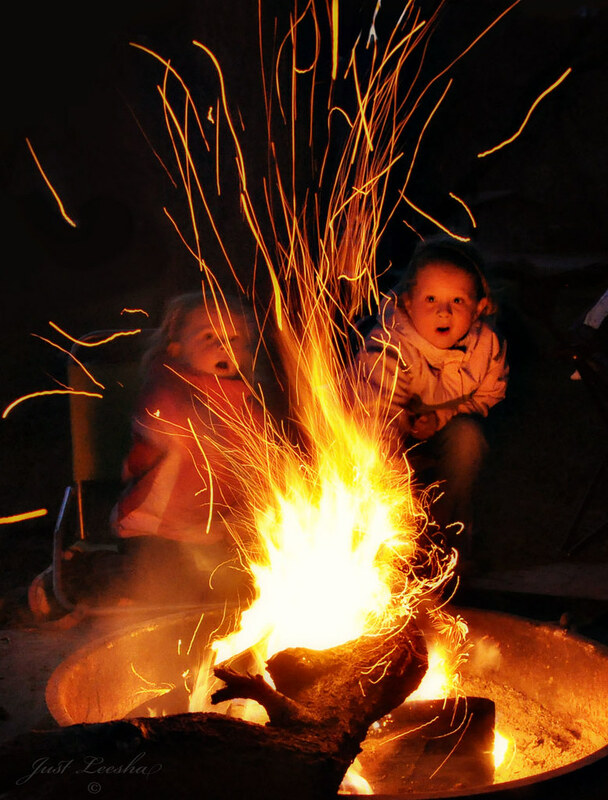 The photo isn’t a stellar piece of art by any means, its a little blurry and fuzzy….but their faces show the genuine glee of their mother allowing them to play in the fire. A huge ‘no no’ that I normally don’t let slide. And for those reasons, I’m entering this photo in the best face photo for the month of May at I Heart Faces.